"I don't usually write reviews, but I had to for Pennant Certified Pre-Owned. Best dealership I have ever dealt with, hands-down! Beautiful, upscale vehicles priced right, and such great people to do business with." 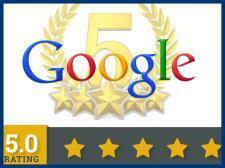 "...Service was extremely friendly and with all the paperwork done and out the door within 45 minutes. Such an easy nice experience." "Great people! Family owned and operated! If your looking for a great quality car, truck, or SUV. give them a shot!" "Larry was extremely helpful and thorough.My wife went in knowing what she wanted and he made it happen same day. I couldn’t be happier with the Nissan Rogue we purchased and would definitely refer anyone to him." "Larry & Mike put me in the car I wanted at the price I needed to be at. I got a great deal and was treated like I had been doing business with them for years. If you need a car or truck give this dealer a try, you won’t be sorry." "Thank you Larry and the team at Pennant Certified Pre Owned! I still can’t believe I’m driving around in a loaded Cadilac!!! My payments are even less than my friends Ford Focus!!! Living the life!!!" Great customer service...staff is polite,trustworthy, & friendly. Vehicles come with warranties ...They are also detailed before purchase. What a fantastic experience! 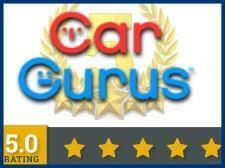 ...I was treated with the upmost respect unlike ANY other car lot...I highly recommend Pennant Certified Pre Owned! "Impressive, that's a one word description of my experience! It shows through the way you are treated that they honestly care!" "They were very responsive, helpful and friendly. I dealt with Larry and Andrew. Unfortunately, the car didn't work out but I will keep them in mind." 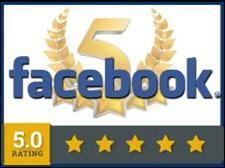 "I highly recommend Larry! We've bought 2 cars from him! He doesn't want you to sit around in the waiting room all day, so both times he had everything ready to go over and sign!" "Andrew is great. Very nice. Good people to deal with. Would highly recommend this dealer." "Andrew and Mike did a great job. Definitely check them out!"